this does 20 damage plus 20 damage for each prize card your opponent has taken. 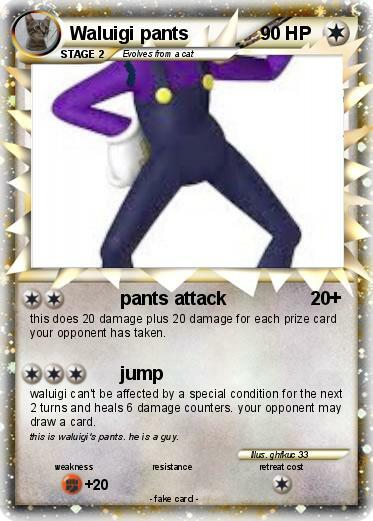 waluigi can't be affected by a special condition for the next 2 turns and heals 6 damage counters. your opponent may draw a card. Comments : this is waluigi's pants. he is a guy.